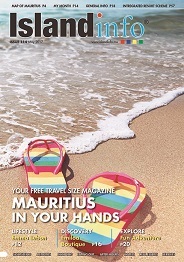 While you will encounter a number of cultures during your stay in Mauritius, it is safe to say that Quatre Bornes has the energy and the charm of the French. In fact, the city name "Quatre Bornes" is French and translates roughly to "four boundary stones." The locals have another name for this quaint marketing town - Ville de Fleurs or Town of Flowers. Quatre Bornes is just ten miles south of Port Louis. Settlers from France found their way to what is now Quatre Bornes in the 1720s and slowly began developing the forested area which sits at the base of a mountain. In the early 1800s, the area was turned over to British rule. The development of a railway line resulted in faster growth than many other places. However, it wasn’t until the 1890s that Quatre Bornes was declared an official village. Villagers often refer to themselves as Quatrobornians. Sugar cane has long been an important cash crop in the area and in fact, played an indirect part in the town’s name. Quatre Bornes was named for four actual boundary stones, each one located at four individual large sugar plantations, mapping out the village limits. Today, the town continues to grow thanks to various attractions, nature activities and therobust market place. Quatre Bornes has some excellent shopping opportunities with several malls and centres with quality local goods. You will discover a great flower market as well as an extensive fruit market with plenty of options to suit your tastes. The many shopkeepers with stalls in the general marketplace make for a lively environment where you can find a number of goods such as clothing, fabrics, food, and native handicrafts and jewellery. The clothing marketplac , open on Thursdays and Sundays, is the main shopping draw, not only for tourists but also for the locals. You’ll find some superior quality clothing, textiles and other garments, including designer names, at great prices. 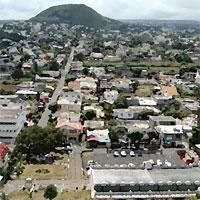 Energy and activity bustles throughout Quatre Bornes which is often as busy as nearby Port Louis. The night activities Quatre Bornes has to offer are dining and dancing. However, if you are in the mood for the slot machines, roulette or card games, you can satisfy your gambling fever with a visit to a local casino called Ti Vegas. Ti Vegas is the most famous casino on the island of Mauritius. It was designed and built with the latest technology in gambling, so you can bet that the slot machines are top of the line in quality. Play roulette or chance the dice with the ancient Chinese game called Sic Bo. Of course, there is blackjack and everyone’s favourite, Texas Hold’em. If you’re ever here in January or February, you’d have an opportunity to witness the colourful festival called Cavadee. Indian temples at the base of the Corps de Garde Mountain host this Hindu celebration and the local Tamils celebrate for days in honour of the God Muruga. The Tamils are fervent in their worship of Muruga. This is very apparent as during the festival, they fast, parade to the temples carrying a cavadee ( a type of wooden yoke), and even pierce their bodies with skewers and needles. Quatre Bornes has a number of nature activities to try. Exploring nature trails observing the local flora and fauna is quite fun. Hiking and mountain climbing on the Corps de Garde is quite rewarding too, as the highest point is about 720 metres. The Corps de Garde Mountain resembles a sentry man lying down, thus the mountain’s name translation “body of soldier.” This hulking mountain has a basaltic rock face and the sunrise is quite spectacular from it. If you decide to explore the mountain on your own, be prepared for quite a trek. It is best if you seek out a guided tour as a tour professional will know the best and safest trails to follow. Quatre Bornes may not have the beaches other areas do but it certainly has the lively energy of a market town. You will have a lot of fun meandering through the streets, popping into the shops and discovering great restaurants and nightlife. Shopping, gambling, and nature activities – the area covers something for just about anyone.